I have decided to write a series of blog post's about our partners in our Calgary Real Estate business and why we have chosen to recommend our clients to them. First up is Bodnaruk Robinson Law and in particular Peter Robinson. If you look at Peter's brief bio here on the About page of kelleyskar.com you will notice that Peter is very educated, has a family and wholly believes in personalized service. I think education is very important, but this is not the reason we have decided to refer most of our clients to him, it is because he knows how to 'personalize' the transaction. Buying and or selling a home can be a stressful thing and the last thing you want is being stressed out at the closing table with the lawyer. We know from personal experience that Peter is a very positive and personable guy that will go to any length to make sure the client is comfortable with the purchase or sale that they are making. Case in point....we had a client that was elderly and not doing very well physically. Acutally to the point where it would have been very difficult for her to get to Peter's Northwest Calgary office. So....what did he do? He went to their home to get the closing documents signed. THAT is personalized service at it's finest. We are very proud to have Bondaruk/Robinson as our partners and would encourage you to give them a call for not only your Calgary Real Estate needs but also Wills and Estates. 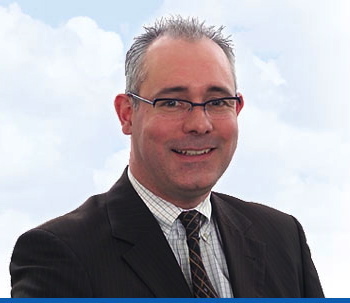 You can call Peter at 403-288-0009 or visit their website at nwcalgarylaw.com.